How do I offer a partial refund if I accidentally overcharge? 1. Navigate to your Inbox by selecting the envelope icon. 2. Select the Upcoming Stays tab and then select the booking you want to modify. 3. 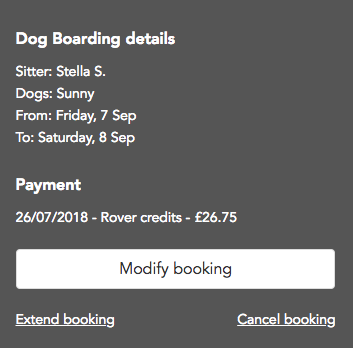 Once the booking is open, locate the gray box that lists your service details. Select Modify booking. 4. 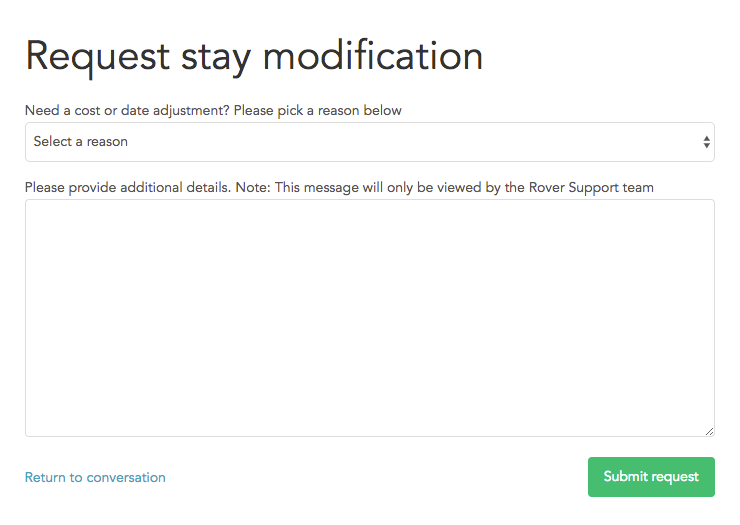 Select your modification reason, and then write a detailed note to Rover Support, including how much to refund and any other relevant info. (For example: if you’re changing the stay dates, let us know that as well.) Select Submit Request. 6. Select Yes, I want to modify. Rover Support will follow up with you if we have any questions. Once the refund has been processed, we’ll notify you and the dog owner via email. How do I improve my position in search results? What if there's an emergency?